Bespoke Bathrooms is back from visiting the London Design Festival, held in the capital in mid-September. Over the coming weeks we will be sharing the latest trends and favorite products that we discovered. The trend of patterned tiles which has been gaining traction over the last year was much in evidence at the 100% Design trade show held at Earl’s Court in West London. Innovations in technology are making it possible to print almost anything with the most beautiful detailing. 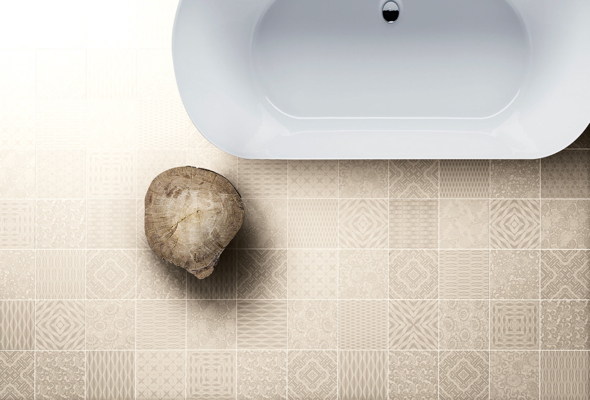 Our favourites from European manufacturers include collections by Porcelain Tiles in the UK; by Dune, a Spanish manufacturer and by the renowned Italian label Cerdisa. 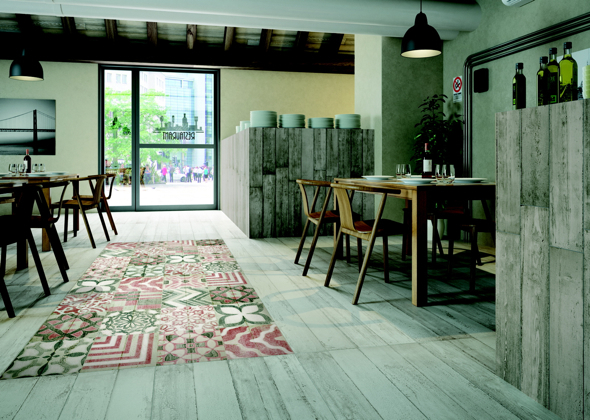 The Concerto range (above) by Porcelain Tiles UK is available in a number of colourways. Formwork (above) from Cerdisa is a bold range well suited to being off-set by timber-patterned tiles that work well in an open plan bathroom as the timber look can flow into the bedroom. 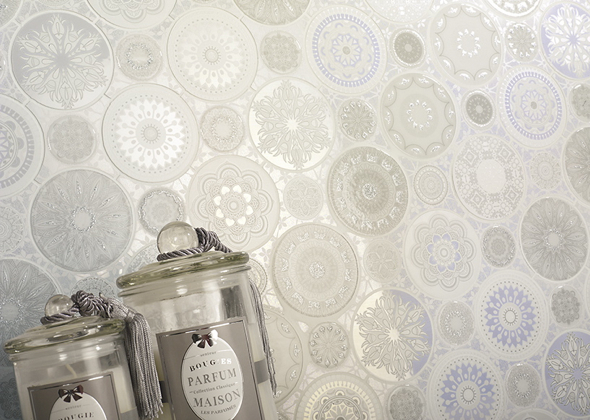 Frozen (below) is a slightly more subtle tile with a silver glimmer from the Spanish manufacturer Dune.